It was a hot Saturday afternoon at the dog park and there was no one else there. 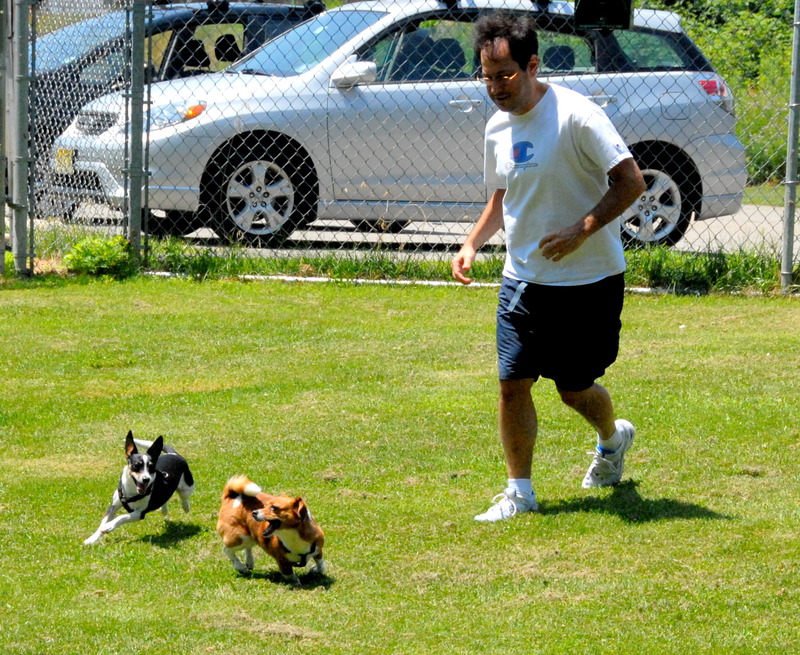 We encouraged Scraps and Rags to run around the small dog park the best that we could but that was difficult in the sunshine so we soon took off. This entry was posted in DenvilleDogPark, Photo, Picasa and tagged Rags, Scraps. Bookmark the permalink.